Restrictions placed on underage online gambling, promised by the Ministry of Internal Affairs (MIA) in December has not been presented in parliament yet. Last year Deputy Interior Minister Levan Izoria said that the issue would be presented in parliament at a spring session in 2015, but the MIA stated they are still working on the draft. The MPs are waiting for the political agreement and say that control is missing in this field. 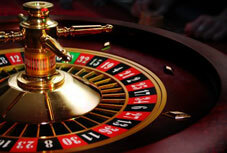 Most of them support either introducing a ban on online gambling, or an obligatory age-limit. Majority member Zurab Tkemaladze stated that online casinos should be few, and they should exist only for tourists, not for the citizens of Georgia. According to a fellow member of the majority Davit Saganelidze, such online gaming is absolutely unacceptable and should be banned. “I fully support the prohibition of online gambling,” he said. Vice-Premier Kakhi Kaladze said that the Georgian Dream has not discussed the issue yet, but stated they would consider it. The gambling companies state that the field is strictly controlled, but say they cannot control when underage people register with the IDs of their parents or other adults. Patriarch Ilia II also put an emphasis on the gambling business during his Easter epistle. According to him the gambling business is a serious and dangerous problem to which the government should react to. “This is useful for the state budget, but negative in essence, and it is prohibited in many countries. From our point of view, the government should say its word and protect the country’s present and future generations,” Ilia II said. According to MIA research, 70% of those involved in online gambling are underage. Georgia is the only country in the region where online gambling is not restricted.